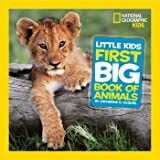 Start reading National Geographic Little Kids First Big Book of Dinosaurs on your Kindle in under a minute. Christmas present for 5yr. old. It's a hit with my 5 1/2 year old who loves dinosaurs. Big pictures and large print wording make it great for preschool to the younger school ages like 3-7. 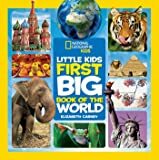 It has different sections for the small, big, giant, and gigantic dinosaurs with an appropriate amount of reading for this age group. If you are looking for a detailed book with lots of info and details then a different book would be better. 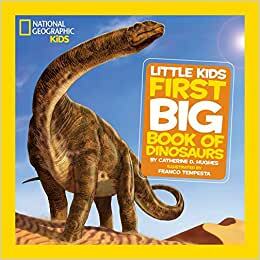 Highly recommend for the young dinosaur fans! Update: the day after receiving we took it to preschool for reading time with little kids that this book is supposed to be made for. Now several of the pages have came out of the binding and I've had to glue and tape them back in. I would think it would be better made for this age group. Just be forewarned. I did take off a star because of this. Update: a few months later the pages had to be glued back on other occasions with normal use. It is a good book and maybe it's just a problem with our book but it is not holding up well. We've never had any other books, especially new ones, start coming apart like this. 3.0 out of 5 starsA great read but very poor construction. I purchased this book for Christmas for my dinosaur loving 6 year old and he adores it. We read about and learn facts on 3 dinosaurs at a time, going back over the ones we've already learned each time, and even my 4 year old is now able to pronounce micropachycephalosaurus. The book is beautifully illustrated and is simple enough not to be overwhelming. It is probably the best dinosaur book I've purchased for my younger children. 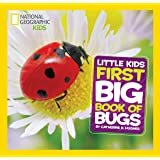 I would easily give it 5 stars and would purchase the entire National Geographic Little Kids First Big Book series except that the binding on this book is ridiculously weak. It is such a beautiful book and it is so disappointing that after only 1 read 3 pages were loose and after 5 reads 5 pages had fallen out. I would return it but my children love it so much. We'll probably eventually have to remove all of the pages and add them to the dinosaur binder we're creating as a homeschooling project. I had purchased the hardcover version of this book because I thought it would be more sturdy but I cannot recommend it to anybody. 5.0 out of 5 starsGet Ready To Learn Alot of Dinosaurs! This is my 3 yr old sons FAVORITE book. He wants to read it all the time. Only issue with that is its a long book (over 100 pages) and its pretty factual. Perfect for a budding little 3yr old want to be paleontologist! I know so much about dinosaurs now and so does he! 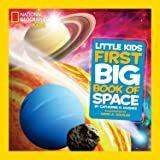 This is not a book with dinosaur stories, this pictures of dinosaurs and several facts about them. 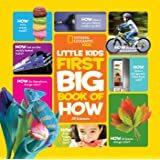 Its broken down by size, with chapters for small, big, giant and gigantic dinosaurs. As a parent reading the book, I also love how they put the phonetic translation of the names. It only takes a few times sounding it out to learn how to say some of the names. Ive honestly hidden the book for a few weeks because I was tired of reading him 100 dinosaurs out loud, but thats a testament to how nice this book is for a kid who is really interested in learning lots about dinosaurs. Only suggestion should they ever do another addition is to add Velociraptor in as lots of kids love the standard Velocirapotor or even Utahraptor. 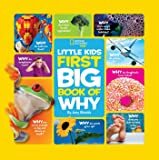 5.0 out of 5 starsPerfect for the curious toddler, and great book to grow on! This book has a lot of room to help grow with my child. Right now he loves the pictures and the names, and especially learning what each dinosaur eats. I expect that soon he'll be into the unique attributes of each different dinosaur. Great gift! My son LOVES the book! Perfect for a curious new reader. Nice big pictures and big lettering without too much wordiness. Love the size comparison pictures that show how big each Dino is next to a grown human. However- the binding just fell apart about a month after we bought it. It looks like the glue just did not stick to the pages so we have pages falling out all over. It is NOT because of misuse. In fact, my son cherishes this book and asks me to "put it up high" after each reading. HE doesn't share it with his siblings without me there to hold the book. Unfortunately I missed the window for returning by 2 days.... Too bad. We may just let him pick a different Dino book to replace it.